I just started using a new video app called Clippit from my friend Jim Long’s company Didja. 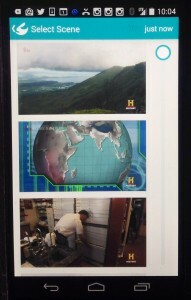 It’s a very cool new way to grab clips from popular TV shows and post them to Facebook or Twitter. The app is available on both Android and IOS and takes a unique approach to making TV content available to share. Instead of forcing you to upload your own video, or grabbing a clip from your phone or tablet’s camera, Didja gives you access to its own ingested high-quality versions of shows that are playing on cable and satellite right now. Sounds a bit dodgy, doesn’t it? Well before we get into the legalities, here’s how it works. On the east coast and the west coast, Didja has a bank of video ingest machines, connected to a local cable operator. Here in the San Francisco Bay Area, they are constantly ingesting the current shows from 28 different networks, including the broadcast networks (Fox, NBC, ABC and CBS) and popular cable channels including History, Discovery, Comedy Central, ESPN and AMC. You can “clip” up to 30 seconds of content from any of those networks. It’s pretty easy to do. Once you load the app, simply click on the little “TV” icon on the upper right and you’ll see a list of all the shows currently airing across those networks. Select a show, and you’ll get access to up to an hour’s worth of video – in one-minute chunks. Each minute is represented by a big thumbnail, and you can scroll through the last hour using a vertical slider on the right-hand side of the screen. Once you select one of those thumbnails, you’re dropped into a simple edit screen, where you can move sliders around from right to left to pick the perfect clip from that minute of video. Once you’ve got your clip just right, you can then pick a thumbnail to represent the clip – and then the app will post the whole thing, along with your text explanation – to either Twitter or Facebook, so you can share it with your friends. In my testing, I found it easy to pick highlights from sporting events, comedies and cartoons. I pulled a fun little Daffy Duck clip from the Cartoon Network and posted it to Twitter ( you can see Daffy Duck here ) and I grabbed a neat little pass play from the most recent UC Berkeley / USC football game from the Pac 10 Network and posted it to one of my Facebook test accounts ( you can see that USC football clip here). When one of your friends clicks on either the link or the image, it takes them to the Clippit servers, where just your clip is served up, in high quality as it loops forever. It’s easy, elegant and should make clipping TV easier than ever. But is it legal? And even if it is, will the big TV networks allow this sort of thing to continue? Clippit uses the concept of “fair use” to legitimize its recording and posting of clips from copyrighted material. Fair use is one of the more subjective legal principles out there, governing when copyrighted media can be used in other settings, because it has news value, without reimbursing the owner. It’s typically invoked when someone wants to criticize or comment on a piece of media, allowing for small snippets to be reproduced as part of that commentary. There are four factors of fair use, but the most important one is whether you transformed the work to help create something new. There are also guidelines based on how much was used (more than 30 seconds can be problematic), and whether by your use, you devalued the original property. I’m not a lawyer, so I’m not going to get too much into the legality of it. But suffice to say that it’s a grey area, and a judge has a lot of leniency to determine whether something is or is not fair use. Didja is a small startup, and I could easily see an aggrieved TV network taking them to court to try to shut down the service. (Want to know more – ). And that would be too bad. 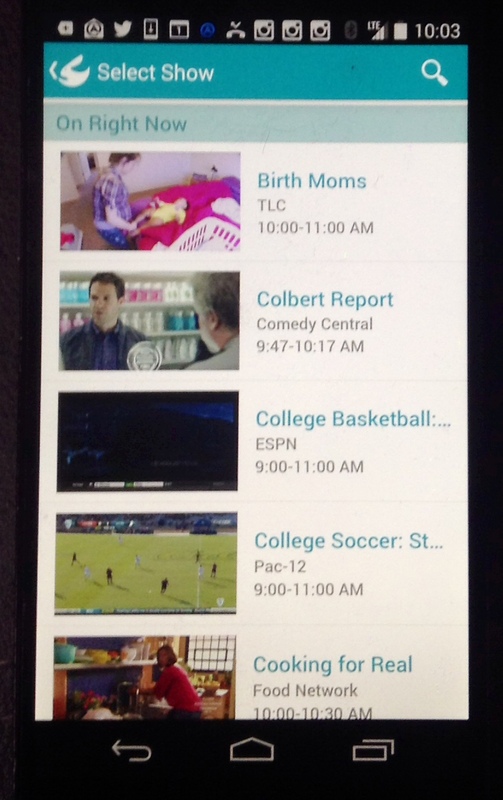 If Clippit takes off, it could offer a truly useful service for many TV networks. Why? Because many of those networks end up clipping up their own shows, and posting those clips on YouTube, MSN, Yahoo, AOL and their own sites. Heck, at one of the networks I used to work at there was a small army cutting up clips and posting them on their site. Why do TV networks clip their shows to put on the internet, rather than just posting the whole episode? Because many of them have agreements with the cable and satellite operators that carry their networks that limit what can be posted online. At TechTV, for example, many of our cable agreements (with Time Warner, Charter, etc) let us post no more than 10% of our programming online. I’m not privy to any other Network/Cable agreements, but I’m sure there are similar restrictions in many of them. This is also why the new “TV Everywhere” services like HBO Go require you to authenticate with your cable or satellite TV provider. You have to prove you’ve paid for it to be able to watch it. But back to clipping. In my experience, what seems appealing to a corporate TV employee isn’t always what users really love. Clippit is going to have incredible insight into what parts of a network’s TV programming really drive social sharing and virality. Heck, I could even see a day where those networks close down their in-house clipping departments and rely 100% on user-generated clips, based upon actual sharing and viewing data. And from where I sit, that’s a likely outcome for Clippit. It’s a really neat service, but I encourage you to share and enjoy it today. Because in the next six months or so I expect it to either be purchased by one of the big TV conglomerates, or shut down by the same. It’s just too useful – and too disruptive – to remain in the wild for long. (full disclosure, the CEO of Clippit is a friend of mine, and I’ve been giving him casual – and unpaid – advice for the last few months. Take that for what it’s worth). Do you want an app that will double your real estate profits? It is called realbench, just go to google and search for REALBENCH REAL ESTATE APPLICATION it will be the first result to come up, or go to the apple store (iPhone) or google play (other phones) and type REALBENCH.